The Los Angeles Rams have a new home and now need a new quarterback which has them monitoring the Peyton Manning situation. Adam Schefter of ESPN reports that the team has had internal discussions about the future Hall of Famer. There are many things in play when it comes to Peyton so it makes sense that the team is just discussing and monitoring right now. The Rams have had internal discussions about bringing Peyton Manning to Los Angeles should he want to play another season, per a league source. Manning still is under contract to the Broncos for another year, but most around the league do not expect him to return to Denver next season, if he returns at all. 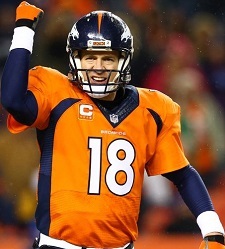 Honestly, I think Los Angeles would be a perfect location for Manning if he decides to play in 2016. A perfect location for the Rams that is. The team is reentering one of the biggest TV markets in the country so why not bring one of the biggest faces in the league with them? It would be a marketing bonanza for the team and league. Peyton may not be the quarterback he once was but he’s definitely better than any option the Rams currently have. At the moment they’re going into the season with Case Keenum as a starter with Nick Foles and Sean Mannion backing up. Even a diminished Manning would be an improvement. The real question though is this, would Manning want to join the Rams? If Peyton were to play in 2016 I’d think he wants to go somewhere where he has a chance to make it back to the Super Bowl. If it came down to playing for the Rams or retiring after the Super Bowl, win or lose, I’d take retirement.